NATURAL OVAL CUT WHITE SAPPHIRE VERY NICE LOOSE GEMSTONES 5 x 4 mm. Product Specifics: on sale is colourless white Natural sapphires loose Gemstones. it shows moderate signs of visible inclusions. Natural Cut Gems. Hardness on Moha's Scale is 9.0. total Weight of these stones is under 1.00 carat. 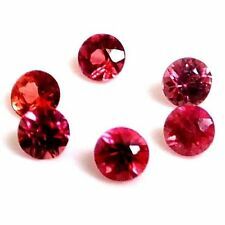 Product Specifics: on sale lot of 10 pieces of stunning red colour round diamond cut natural sapphire loose gemstone, these are untreated & shows very slight signs of visible inclusions & are of very good quality. 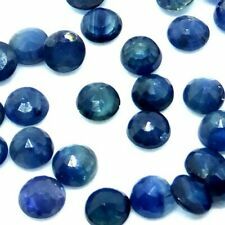 Product Specifics: on sale is lot of 10 pieces of wonderful Natural round Cut sapphires Gemstones which will make lovely item of jewellery. Colour of stone is blue. Natural Cut Gems. Hardness on Moha's Scale is 9.0. This stone has a deep cornflower blue colour typical of fine Ceylon sapphires. A beautiful sapphire with an excellent oval brilliant cut and ideal polish to show great shine and colour, would look lovely in jewellery. Gems Type : Natural Sapphire. Shape : Oval. Color : Blue. Approx Weight : 7.90 Ct.
Gemstone: Lab Created Sapphires. For Precious gemstones Ie. we deal exclusively in recycled gemstones. this is good in many ways. colour: mixed (colour change). all of our Diamonds are graded to GIA standards and for colour they are graded against a GIA Certified Master Set. Gems Type : Natural Sapphire. Shape : Oval. Color : Blue. 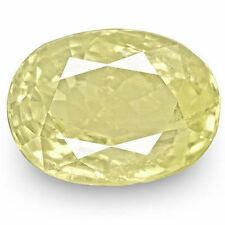 Approx Weight : 12.50 Ct.
New listingNatural Yellow Sapphire 3.71ct Crystal Shape Stone - Sri-Lanka. Ceylon Natural Sapphire Stone. Crystal Shape. Don?t bit unnecessary. 100% Natural - Unheated. Light Yellow - Transparent. (Wir würden gerne mit Personen handeln die sich mit Mineralien auskennen). Gemstone: Lab Created Sapphires. For Precious gemstones Ie. we deal exclusively in recycled gemstones. this is good in many ways. all of our Diamonds are graded to GIA standards and for colour they are graded against a GIA Certified Master Set. Gems Type : Natural Sapphire. Shape : Oval. Color : Blue. 0.56ct Sapphire. Eye clean and Unheated. A well cut, new, purple gemstone. 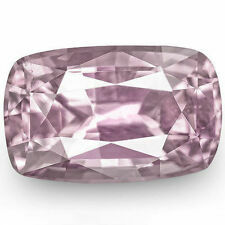 An oval cut Sapphire with a pinkish purple colour. Unusually for Sapphire, there is no colour zoning and the colour is well saturated. The gem is well polished and eye clean. The gemstone has been tested by GLC laboratorys and is supplied with full certification stating "No indication of heating". The Sapphire has not been subjected to any other treatments and has come out of the mine as beautiful as it is now. Online Report available using File No: A28340. All my gems come with a small gift. It is just a little fun to go with your purchase. To make it interesting for those who want the challenge of identifying the gem themselves, the gem id is in a closed slip..
Gems Type : Natural Sapphire. Shape : Square. Color : Blue. Approx Weight : 5.25 Ct. Number of Gems : 1 pcs. Super Clean! 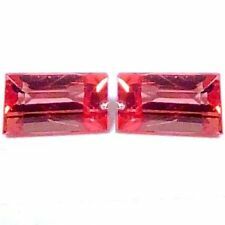 0.25ct 4mm IF Round Natural Unheated Pinkish Orange Sapphire. This Natural Sapphire originate from Ceylon and it weigh 0.25 carats. This Pinkish Orange, Round shape stone, is size 4.0 x 2.1 mm. Certified 1.70ct Cushion Cut Violetish Blue Ceylon Sapphire. A 1.70 Carat Cushion Cut Blue Ceylon Sapphire. As Pictures Indicate A Near White (Area Of Colour Zoning) Streak Sits Just Under The Sapphires Surface To The Viewers Left & Continues Unabated Vertically Across The Entire Outer Left side Of The Table. A stunning sapphire with a very good oval cut and ideal polish to show great shine and colour, would look lovely in jewellery. Natural Sapphire with a beautiful deep blue colour. - Distinction grade in gemmology with the Gemmological association of Great Britain (Gem-A). Certified 2.16ct Cushion Cut Blue Transparent Natural Sapphire. 2.16ct Cushion Cut Blue Natural Sapphire. Cut & Polish Are Both Good. Tone Is Also Slightly Dark. Why Buy From Us?. We are collectors with many years of experience, who enjoy what we do. Pot not included. Very nice LOT of Marquise blue sapphires. A beautiful Ceylon sapphire with a stunning and unique vivid blue colour. This sapphire has an excellent pear cut and ideal polish to show excellent shine and colour, would look lovely in jewellery. This stone is totally untreated and unheated which is very rare for blue sapphires. Natural Ceylon Sapphire with stunning deep blue colour. Fully certified by IGI in Antwerp, one of the best and most well equipped gem labs. GIA Certified 1.40ct Oval Cut Blue Sapphire. A 1.40ct Oval Cut Blue Sapphire. Almost Eye Clean/Slightly Included. Cut & Polish Are Good. CHECK OUT OUR OTHER GREAT DEALS. 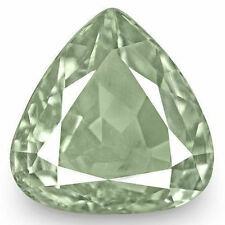 1.34 cts Ceylon Saphire Natural And Transparent With Certificate. Natural Ceylon Sapphire with a beautiful purple colour. Colour on this stone is stunning, a very bright purple colour. Photos taken at 20x zoom to show the real quality of the item so may be smaller than it looks. Certified 1.33ct Oval Cut Blue Ceylon Sapphire. 1.33ct Oval Cut Blue Ceylon Sapphire. Cut - Good. Polish - Very Good. A High Quality Blue Ceylon Sapphire That Has Been Slightly Over-Heated, Leaving Typical Yellowish Brown Residues, Mostly Isolated To The Stones Centre. A beautiful sapphire with an excellent pear cut and ideal polish to show great shine and colour, would look lovely in jewellery. Natural Sapphire with fine vivid blue colour. - Distinction grade in gemmology with the Gemmological association of Great Britain (Gem-A). 1.27 cts Ceylon Saphire Natural And Transparent With Certificate. 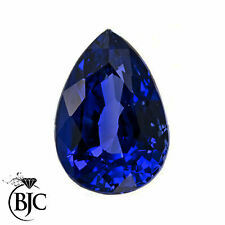 Product Specifics: on sale is lot of 10 pieces of wonderful Natural round Cut sapphires Gemstones. Colour of stone is very nice blue with slight inclusions. Natural Cut Gems. Hardness on Moha's Scale is 9.0. 0.51ct Sapphire. Eye clean. Oval cut in a light pastel blue colour. An oval cut Sapphire with a light pastel blue colour. The cut is good, giving the gem lots of sparkle and fire. There is no colour zoning and the gem is well polished to a nice finish, with very little facet abrasion at all. All my gems come with a small gift. It is just a little fun to go with your purchase. To make it interesting for those who want the challenge of identifying the gem themselves, the gem id is in a closed slip..
2 mm Round Cut Dark blue Lab Created Sapphire Loose Gemstone. Lot of 20 stones. 3 mm Round Cut Dark blue Lab Created Sapphire Loose Gemstone. Lot of 10 stones.